Deputies said Jeremy Taylor and his dog, Allie, kept warm by periodically starting the vehicle. SUNRIVER, Ore. — A Central Oregon man and his dog were found alive after they spent five days in a vehicle stuck in deep snow. Jeremy Taylor, 36, of Sunriver, was reported missing after he was last seen at a gas station in Sunriver on Sunday, Feb. 24. 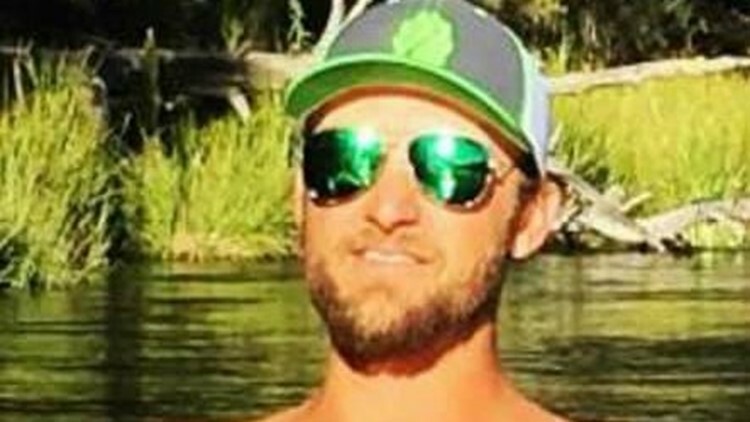 On Friday, a snowmobile rider called 911 to report they had found Taylor and his Toyota 4Runner on Forest Service Road 40 near Wake Butte, west of Sunriver. The Deschutes County Sheriff’s Office said Taylor makes frequent visits to the forested area west of Sunriver. After getting the 911 call, a Deschutes County Sheriff’s Office search and rescue team member reached Taylor via a Snowcat. Taylor and his dog, Allie, were found in good condition but hungry, the sheriff’s office said. Taylor and Allie had been stuck in his vehicle for five days, deputies said. Taylor told deputies he went up Forest Service Road 40 on Sunday but got stuck in the snow. He woke up Monday to even more snow and was unable to get his vehicle out, deputies said. Taylor tried to walk out but the deep snow made it difficult, so he returned to his vehicle. Taylor and Allie stayed in the 4Runner and kept warm by periodically starting the vehicle, the sheriff’s office said. Taylor used a few taco sauce packets as food, according to deputies. After being found on Friday, Taylor and Allie were reunited with friends and family.